A change in Sudbury hospital policy says employees who do not have an influenza shot and who choose not to wear a face mask during flu season will be sent home. A change in Sudbury hospital policy says employees who don’t have an influenza shot and won’t wear a surgical mask during flu season will be sent home. 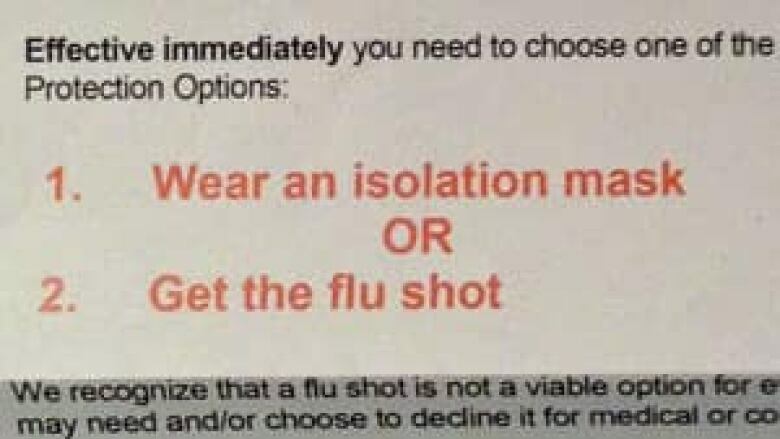 Health Sciences North sent a letter to its employees late last week requiring employees to comply with one of two options: get a flu shot or wear what they call an "isolation mask." 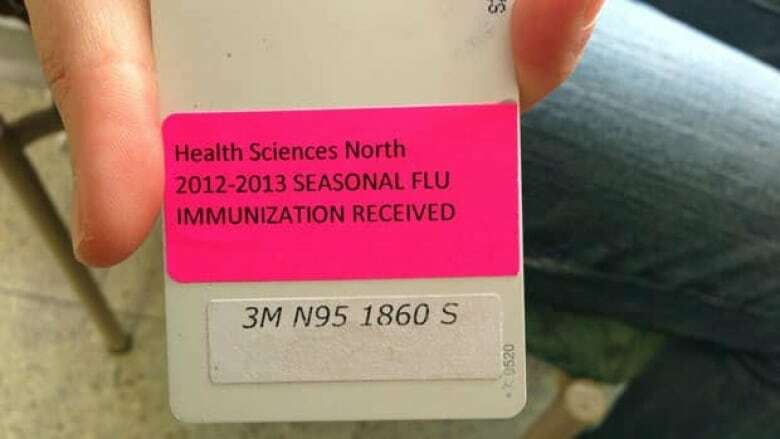 "Our ID badge shows on the back of it if we've had our immunization," said radiation therapist Nadya Gabel as she showed the bright pink sticker now affixed to her hospital ID. She said the change has hospital employees talking. "It's everybody's choice what they do with their own health care so, of course, there are people who are unhappy about it," Gabel said. "I feel strongly for it and other people feel strongly against it, so that's their own possible choice." Health Sciences North officials say the new policy complies with recently released best practices from the Provincial Infectious Disease Advisory Committee. 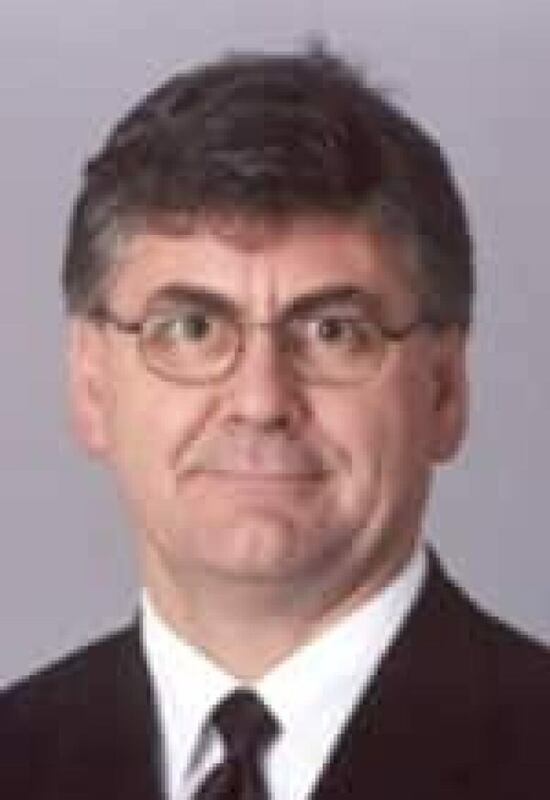 Joe Pilon, chief operating officer of Sudbury's Health Sciences North. The chief operating officer at the hospital said the hospital is relying on staff to follow the new rules. "If you can't demonstrate that you've been immunized, then you have to wear a mask," Joe Pilon said. "If you're not going to wear a mask, then you can't care for patients and you would be sent home." Employees are required to wear the isolation mask until influenza season ends at the beginning of April — and this will be the protocol for all future influenza seasons, he said. "We try to rely on people's professionalism to say that you need to protect patients," Pilon added. "We expect people to see the reasonableness of it, but at times people don't comply — and when you don't comply with policies — then there needs to be a discussion, there needs to be some consequence." Pilon estimated about 50 per cent of hospital staff have been immunized this year.